IDEAL ELECTRIC COMPANY, formerly Hyundai Ideal Electric Co., is a market leader in power generators for gas, steam, hydro, and diesel engines, up to 50 MVA. 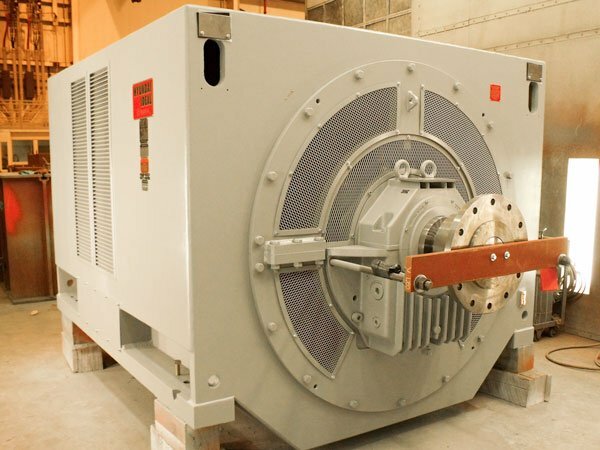 Our product line includes all types of industrial switchgear and rotating equipment. Current capabilities range from standard 125 HP hermetic induction motors to customized 50,000 KVA water-cooled synchronous generators. Our present plant is located on a 29-acre site with over 280,000 sq. ft. under roof. 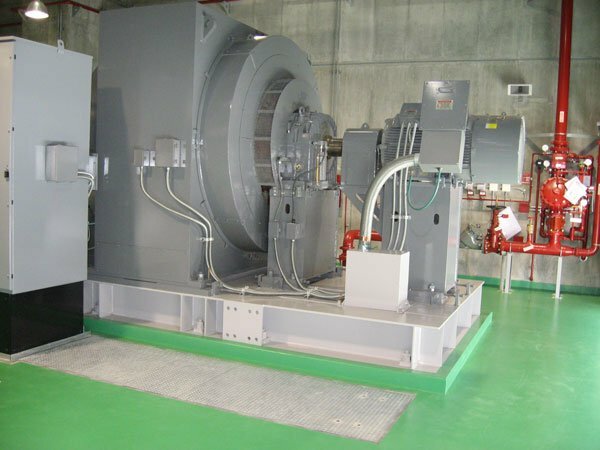 Our test floor allows for complete testing of synchronous motors and generators in the vertical and horizontal configuration and full load testing of induction motors up to 8000 HP, at voltages from 480 volts to 13.8 kv and at 60Hz and 50 Hz. IDEAL ships approximately 35% of its product overseas. Our equipment is manufactured in Mansfield, Ohio, and often has a U.S. content greater than 90%. The increase in international business, along with our commitment to excellence led the way to international ISO 9001 certification in 1996. We are one of the few generator manufacturers designing and building our own switchgear, assuring a coordinated design and trouble free start-up. We are also the only U.S. manufacturer to supply space-saving generator-mounted epicyclic gears. Our motor product line includes both induction and synchronous designs with ratings of 200 HP-35,000 HP. We provide custom designs and supply complete packages, including motor starters and controls. We have the resources to handle almost any size project while still providing the personal attention customers appreciate.